Before, I start my review, I just want to apologise for not visiting as many sites in the last week, especially yesterday. As you know my father in law had been ill for quite some time. Well he passed away last week and yesterday was his funeral. I wasn' t ready to share this information, but I found that I was flagging a little in the blogging world and I really wanted to be honest with you and let you know why I am a little absent at the moment. So please bear with me and I hope to be back to normal soon. Challenges - 1% Well Read Challenge and Fall Into Reading. When I was a teenager in the throes of my A levels and really studying hard for my English Literature exam, my wonderful mother began to purchase a weekly magazine called The Great Writers; with each magazine devoted to a different author, you also received a hard bound book by the author. Nearly twenty years on and owning the full the set of books, this is the first one I have read. I think that is atrocious and I aim to read a lot more of them. So the cover shown here, is not the one I actually own, but I couldn't find a picture of it. Does anyone else own the Great Writers series of books? I would imagine it was only available in England. For anyone not familiar with the story of Dorian Gray, here is a quick run down. Dorian is beautiful, absolutely stunning , so stunning that the artist Basil Hallward, begs him to model for him. Basil creates a wonderful portrait of Dorian, which shows how lovely Dorian is. However the portrait leaves Dorian miserable. He wishes that the portrait would age and show the sins of his life and that he would remain young. Little did he know that his wish would come true. Dorian never ages, but the years passing and the sins of his life appear in the portrait. The first thing I noticed about this book whilst reading it, was that Oscar Wilde found the transition from playwright to novelist very tricky. I understand that this was his only venture into novels and I can see why. This book is full to the brim of dialogue. There is hardly any descriptions within the book and after a while I became quite exhausted by all these long and drawn out conversations. I love descriptive passages where I can lose myself in the atmosphere of the book and this just didn't have any. The characters were very two dimensional and I didn't warm to any of them. Dorian was a very vain character who ended up leading a very questionable life. I did not feel sorry for his character at all. I found the book very sexist towards women. I could feel myself getting angrier with each passage I read. Here is a piece of dialogue where Lord Henry is discussing women. Doesn't that just make you so angry. I know women were treated less equally during Oscar Wilde's years, but this is ridiculous. Did I enjoy this book? Not really. I loved the story and I would like to see it re written, so that it appears less like a play. I actually feel bad, criticising such a legendary figure in the literary world, but I am afraid this book left me cold and underwhelmed. Just because it's a classic does not mean everyone will enjoy, good for you to be honest. And I am sorry for your loss, my heart goes out to your family. Sorry to hear of your loss - my best wishes to you and yours. I agree with Blodeuedd. There are so many 'classics' out there that I don't like and being a so called classic doesn't automatically make it a book that appeals to all. At school I was made to feel so ignorant when it was discovered that I didn't like the works of the Brontes or Dickens. I did however enjoy this classic, to me its such a sad story. We had hoped to see the latest adaptation at the pictures earlier this year but didn't get so am now awaiting it on DVD. Vivienne, my thoughts are with you at this sad time for your family. I remember watching this movie and thought it was good mainly because the premise is intriguing. If I read the dialogue you quoted, I know I would feel the same way as you do. Take care. Vivienne I'm so sorry to hear your news. Thinking of you all, please give hubby a hug from me. I love this book but it is more the story of the picture I love than the characters themselves who none of I really liked. I was desperate to see the film earlier in the year much likePetty Witter but didn't get the chance to go so we are really anticipating it's release on dvd. First I say I'm sorry about your father in law. Sending good wishes and warm thought to you and your whole family. About the book, it seems people who are familiar with Wilde's plays tend not to like this one as much. I've read it 2 or 3 times, but as of yet have not read any of his plays, and I loved the book, especially Lord Henry's character. Lord Henry is a lot like me - lots of talk on esoteric subjects, not necessarily meaning the philosophies that comes out of his mouth - he's just debating, not professing to believe. I like that sort of esoteric debate, so I really related to him. Hi, Vivienne - so sorry to hear about your loss - with everyone else my thoughts and prayers are with you and your family. I'm not hugely fond of this book, either. Wilde's plays, however, are wonderful - witty, intelligent language and characters. I'm so sorry to hear about your father-in-law. I can only imagine what you're going through right now. Don't worry about us right now - take care of yourself and your family. I am guessing that passages like that were meant to sound awful - he was a fan of sarcasm and trying to insult society. But I haven't read this book, I could be wrong. Vivienne I am sorry to hear about your loss. Take your time getting back and son't feel guilty. We'll be here. 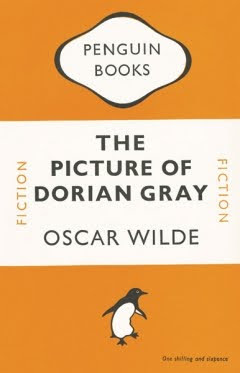 And as for Dorian Grey- never been able to read it. I'm so sorry about your loss. I'm keep you and your family in my thoughts. Take your time coming back to blogging. We all understand. Viv, I'm so sorry to hear about your father-in-law. My deepest condolences to you and your family. Please take care and take your time, OK? As so many of us here have said, we'll be here for you. You are in my heart & prayers, Vivienne. sorry to hear about your father in law, youre in my thoughts and prayers. Oh and I never care for Dorian Gray either. I tried reading this book a few times over the years, I never made it very far into it.